Federal drug laws, including the Controlled Substances Act, regulate the possession, trafficking, and manufacturing of drugs. Even though states have their own laws on drugs, federal laws supersede state laws—including those regarding the medical/recreational use of marijuana. No federal laws regulate drug testing for private companies, but certain laws provide protections for workers. The Controlled Substances Act established a classification or scheduling system for drugs. 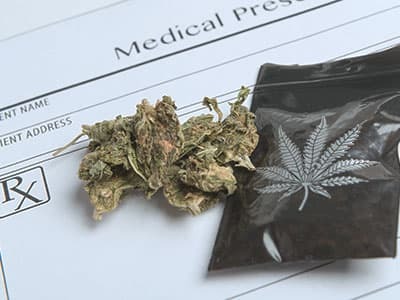 Schedule I drugs have a high potential for misuse, no accepted medical treatment in the United States, and a lack of safety even if they were to be supervised by a medical professional. Heroin, GHB, LSD, Quaaludes, and marijuana are examples of Schedule I drugs. Schedule II drugs have a high potential for misuse and addiction, but they can be used in the United States with strict controls. Cocaine, PCP (phencyclidine), methamphetamine, and opioids such as methadone, fentanyl, morphine, and hydrocodone are Schedule II substances. Schedule III drugs have a lower potential for misuse than Schedule I or II drugs, are accepted as part of medical treatment, and their abuse can lead to severe psychological dependence and/or mild to moderate physical dependence. These drugs include codeine medications with aspirin or acetaminophen, anabolic steroids, and some barbiturates. Schedule IV drugs have a lower potential for misuse and psychological or physical dependence than those listed above and are currently accepted in medical use. They include the painkiller tramadol (Ultram) as well as benzodiazepines such as alprazolam (Xanax), clonazepam (Klonopin), and diazepam (Valium). Schedule V drugs have an even lower potential for abuse or dependence, are accepted as legitimate medical treatments, and include cough medicines containing codeine. The Anti-Drug Abuse Act of 1986 allowed the CSA to include substances similar to controlled substances (such as synthetic drugs) as Schedule I drugs. It also established mandatory minimum sentencing laws for federal drug trafficking, depending on the substance and amount in question. The charge of possession can be broken into 2 categories: simple possession and possession with the intent to distribute. 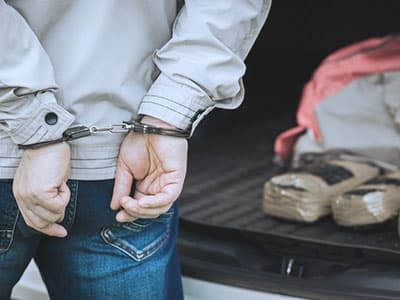 The consequences of drug possession can vary widely between states. Americans with Disabilities Act (ADA) of 1990 – This law prevents companies with more than 15 employees from discriminating against applicants or employees based on a history of substance use or attendance in substance use treatment. 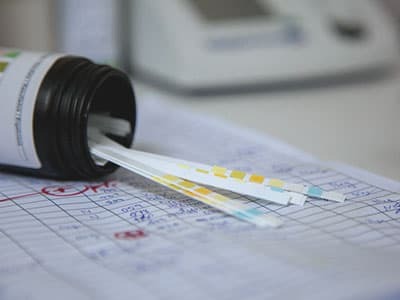 This law also ensures that companies cannot drug test employees simply for acting or appearing as though they are under the influence of any substance, since physical symptoms or behavior can be attributed to physical or mental health issues. Asking whether someone takes legal prescription medication is also prohibited during pre-hire drug screening. Civil Rights Act (CRA) of 1964 – The CRA ensures that private companies with at least 15 employees are not discriminating against employees or potential employees based on race, gender, religion, or ethnicity, by targeting specific individuals for drug testing. Family and Medical Leave Act (FMLA) of 1993 – This law pertains to all public employers and private companies with more than 50 employees. FMLA also ensures that any employee who has been employed for at least a year and has clocked a minimum of 1,250 hours in the last year can take up to 12 weeks of unpaid leave to seek treatment for substance use or a physical condition related to substance use, or care for a close family member seeking treatment for substance abuse or a medical condition due to substance use. They are assured that they can return to the same (or a similar) position. National Labor Relations Act (NLRA) of 1935 – The NLRA concerns employees that are in a union. It ensures that any program set up for drug testing employees must be negotiated and agreed upon through the union. It also mandates that the employer and the union must be clear about when testing will be done, along with the penalties in place for employees who test positive for any drugs or alcohol. Arizona – Private companies, all school districts, and transportation companies that service school districts are subject to drug testing. Applicants and employees must be provided with written disclosure about the drug testing policy for it to be valid, and any transportation employee can be drug tested in the event of an accident or probable cause. Idaho – All employers can conduct drug testing on applicants. Employees must receive a notice of drug testing that lists what type of test will be conducted and that violation or refusal to be tested can lead to misconduct discharge and denial of unemployment benefits. Maryland – All employers can conduct drug testing on any and all applicants and can drug test employees only if they can provide a valid business reason. Sacco, L.N. (2014). Drug enforcement in the United States: History, policy, and trends. Seattle Pacific University. Summary of federal and state drug laws. Drug Enforcement Administration. Federal trafficking penalties. Drug Enforcement Administration. (2017). Drugs of abuse. P8-14. United States Sentencing Commission. (2015). Weighing the charges: Simple possession of drugs in the federal criminal justice system. Thomson Reuters. (2015). Drug possession overview. Thomson Reuters. (2017). Drug trafficking/distribution. Thomson Reuters. (2017). Drug manufacturing and cultivation. Los Angeles Times. (2017). Trump and Sessions are ignoring voters’ overwhelming support for medical marijuana. Will Congress listen? National Conference of State Legislatures. (2017). State medical marijuana laws. National Alliance for Model State Drug Laws. (2015). Controlled substances: Scheduling authorities, acts, and schedules. Illinois Wesleyan University. Illinois Drug Laws. Boston University. Illegal drugs and alcohol. Southern Methodist University. Texas state law and penalties for controlled substances. Substance Abuse and Mental Health Services Administration. (2015). Federal laws and regulations. American Civil Liberties Union. State-by-state workplace drug testing laws. Angell, T. (2017). Jeff Sessions Slams Marijuana Legalization (Again). Forbes.